Nourishing hand cream with aronia extract, honey and bee wax. 75 ml. The Aronia Hand Cream protects and nourishes, prevents premature skin aging, prevents redness and tears and wraps the hands with a fine scent of berries and honey. 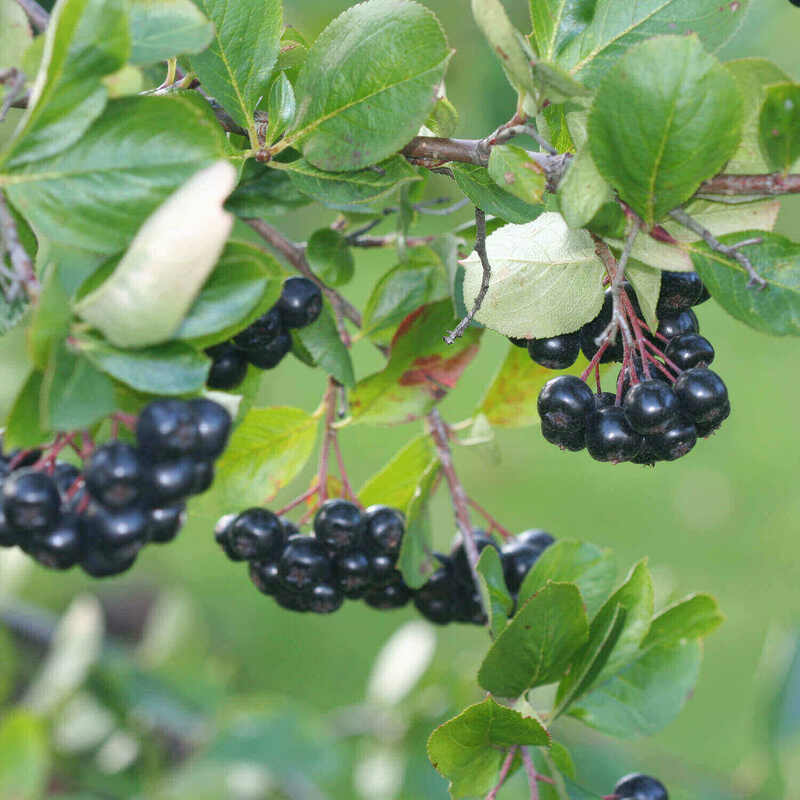 The Aronia hand cream with Swiss Aronia berries protects and cares without sticking. The Pflegelotion also contains honey and beeswax. It prevents premature skin ageing, prevents redness and tears and envelops the hands with a fine scent of berries and honey. Apply several times daily thinly and massage in slightly. 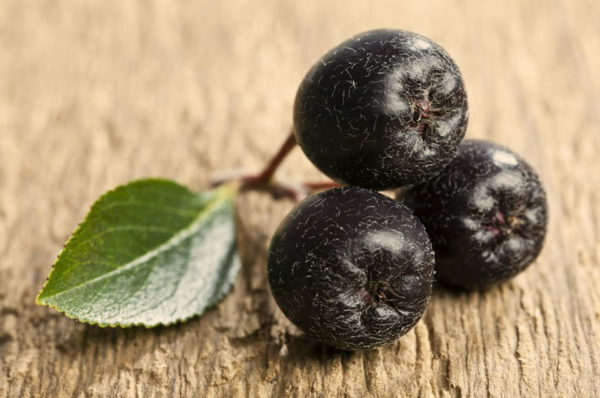 What are the benefits of Aronia Hand Cream? 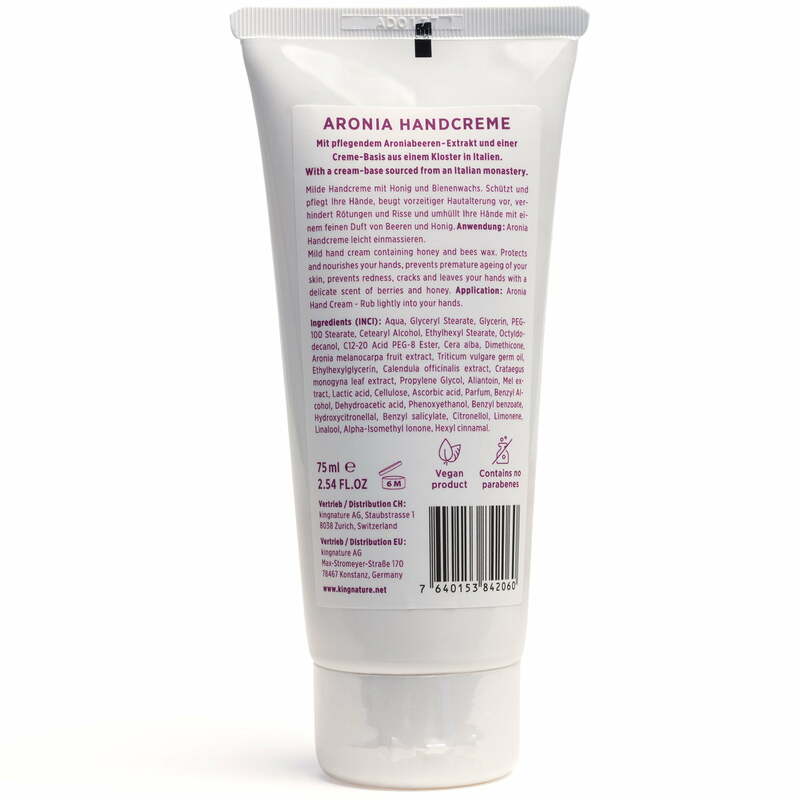 Buy Aronia Hand Cream now! Buy online Aronia Hand Cream now: We also accept Visa / Mastercard and Postcard. CH-customers please use our CH-Shop. Hand cream with Aronia extract, honey and Bee Wax. Contents net 75 ml. 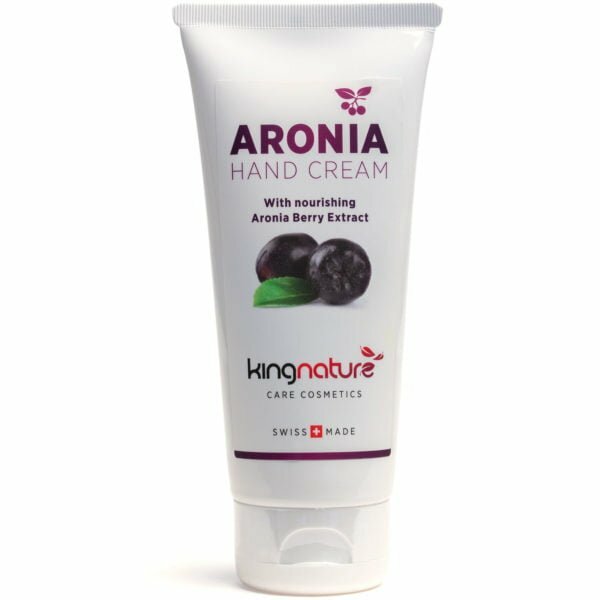 We have Aronia Hand Cream in stock. Application: If necessary, apply several times a day and massage in lightly. 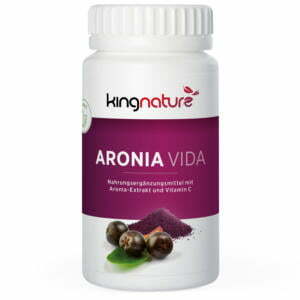 Ingredients according to INCI: Aqua, Glyceryl Stearate, Glycerine, PEG-100 Stearate, Cetearyl Alcohol, Ethylhexyl Stearate, Octyldodecanol, C12-20 Acid PEG-8 Ester, Cera Alba, Dimethicone, Aronia Melanocarpa Fruit Extract, Triticum Vulgare Germ Oil, Ethylhexylglycerin, Calendula Officinalis Extract, Crataegus Monogynian Extract, Propylene glycol, allantoin, Mel extract, lactic acid, cellulose, ascorbic acid, perfume, benzyl alcohol, dehydroacetic acid, phenoxyethanol, Benzyl benzoates, hydroxycitronellal, benzyl salicylates, Citrus Oil, limonene, linalool, alpha-isomethyl ionones, hexyl cinnamal. 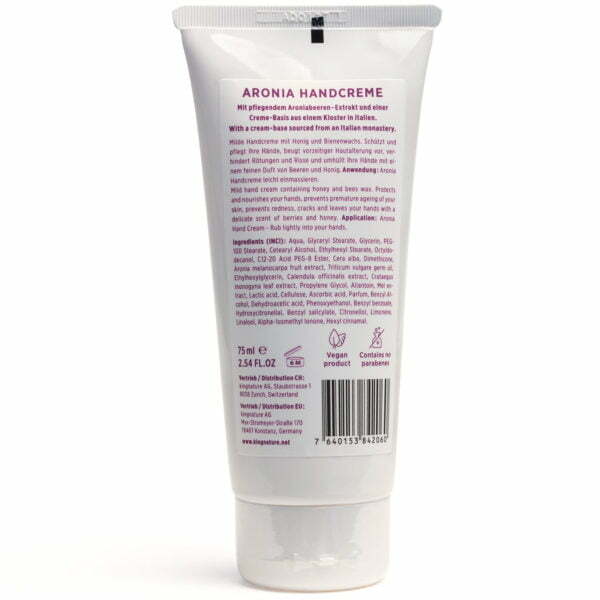 Buy Aronia Hand Cream online now: We also accept Visa / Mastercard and Postcard. 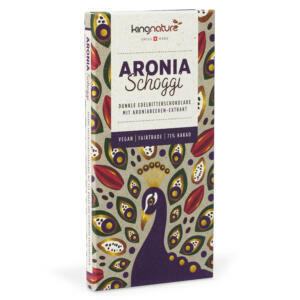 For an order value exceeding of CHF 120, we ship the product for free (within Switzerland). EU customers please use our EU-Shop. Buy Aronia Hand Cream now – online: We accept Visa / Mastercard and Postcard. Order exceeding CHF 120.– are sent free of charge within Switzerland EU- Customers please use our EU-Shop.